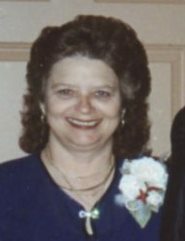 Brenda K. Reeder 68, of Plainfield, passed away on August 18, 2018 in her residence. She was born on October 25, 1949 in Indianapolis to the late Harry and Barbara Rusie Keller. She married Daniel Reeder on July 29, 1977 and he survives. She was a homemaker. Funeral services will be held Wednesday August 22, 2018 at 1 p.m. in Hall-Baker Funeral Home, Plainfield. Burial will follow in Washington Park North Cemetery. Calling hours will be from 10 a.m. until funeral service in the funeral home. Survivors include her children: Scott (Elaine) Reeder, Mike (Chrissy Benge) Reeder and Crystal (Matt) Hanger. Sister: Karen Fitzgibbon. Sister in Law: Cindy Reeder. Grandchildren: Mackenzie, Dalton, Kaylee, Ashton, Samantha, Maddie and Kaitlyn. Memorial contributions can be made to American Diabetes Association 6415 Castleway W. Drive Suite 114 Indianapolis, Indiana 46250.